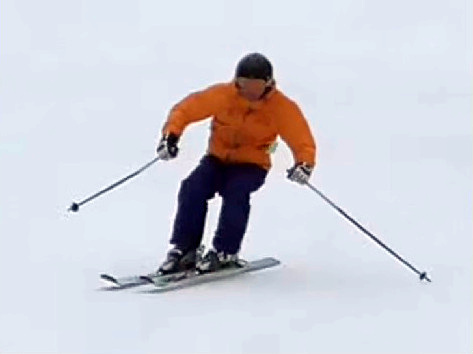 One of the biomechanical principles of skiing1 (as well as other action sports) is the notion of impulse: an object will continue on its current trajectory, with the current speed until it is impulsed, see Impulse_(physics). An impulse is a force applied over a period of time. Both the intensity of the force and the duration of application define the resulting impulse. For instance, we can dissipate energy through slow sliding or via a short strong hockey stop. We can change direction over a long smooth turn or through a very short, energetic turn. In general, when we look at creating and using impulse in ski racing, we refer to impulsing the body in the direction of travel which is down the slope and laterally across to the next turn. The ability to create good impulse, but no more than is needed, is one trait of good racers and expert skiers. Member-only content avilable (322 words). Viewed 462 times ( | Print ) this page.